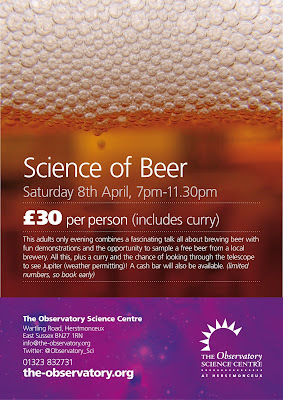 Combining a fascinating talk with some fabulous fun demonstrations all about the process of brewing beer, PLUS the chance to sample some local brew, this is an evening not to be missed! 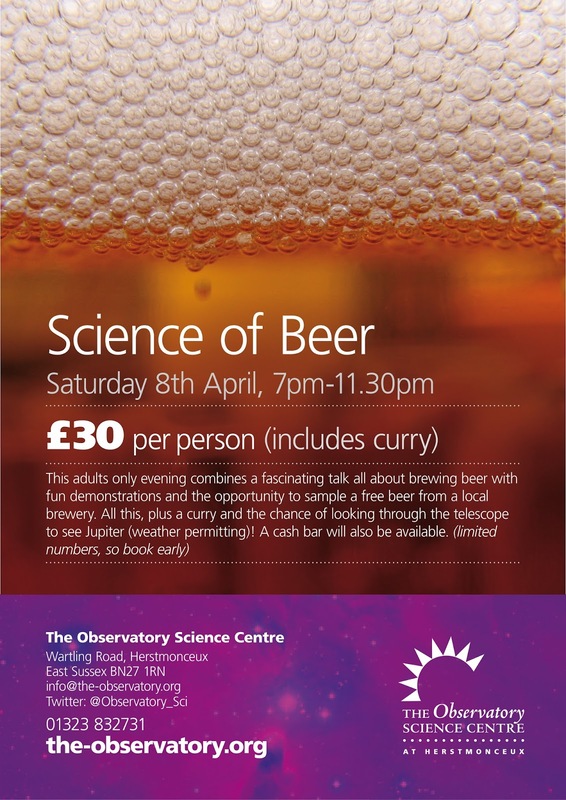 If that was not enough we will also provide a delicious curry and a voucher to sample a free beer of your choice (soft drinks and wine are also available). A vegetarian curry option is available but we are unable to offer alternatives to the curry. If the weather is good then there will ALSO be an opportunity to look through the Centre's fantastic historic telescopes at some fascinating night sky objects including Jupiter. There will be a cash bar throughout the event and the opportunity to take beer home. Numbers are limited to a total of 80 so when we have received confirmation of the event book early to secure your place.